While Monet was breaking new ground with his water lilies and Van Gogh creating his sunflowers series, Henri Fantin-Latour painted roses. 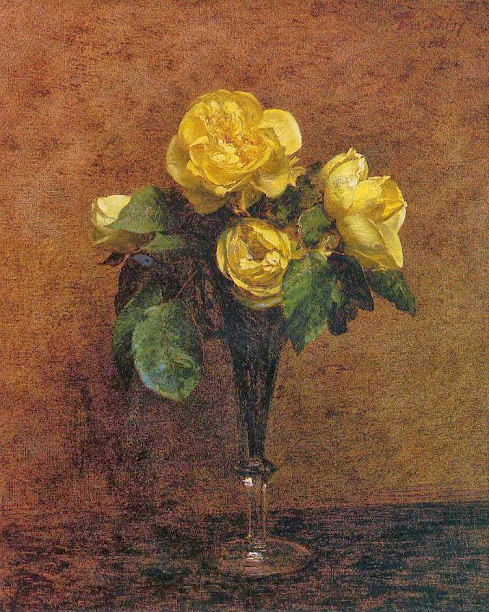 He also produced much-admired individual and group portraits as well as other still-lifes, but he remains associated with roses more than any other 19th century painter. The rose is one of the flowers with the most diverse meanings in western symbolism. A few examples include the red rose as a symbol of love, the white rose as a Christian symbol of the Virgin Mary, the red rose as emblem of most center-left political parties in Europe including the British Labour Party, and the red and white Tudor Rose as national flower of England representing political union after the civil war. 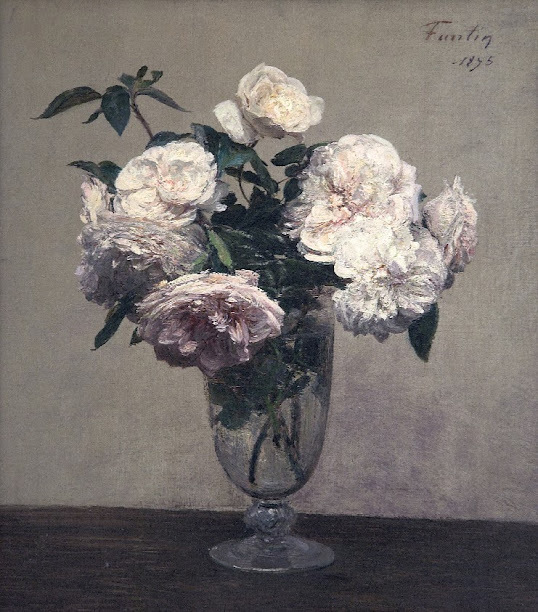 There is, however, no symbolism or hidden meaning in Fantin-Latour’s roses. No political or religious undertones. Only subtle harmonies celebrating natural beauty, and a hint of the passing of time. 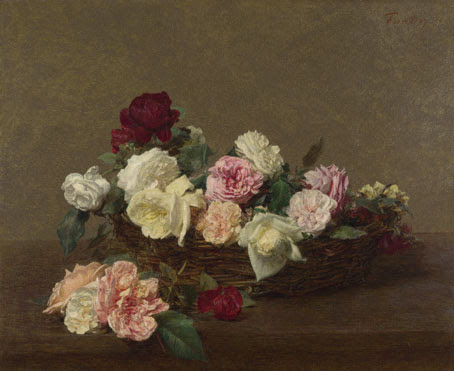 Fantin-Latour, Roses de Nice on a Table, 1882, National Gallery of Art, Washington, D.C. 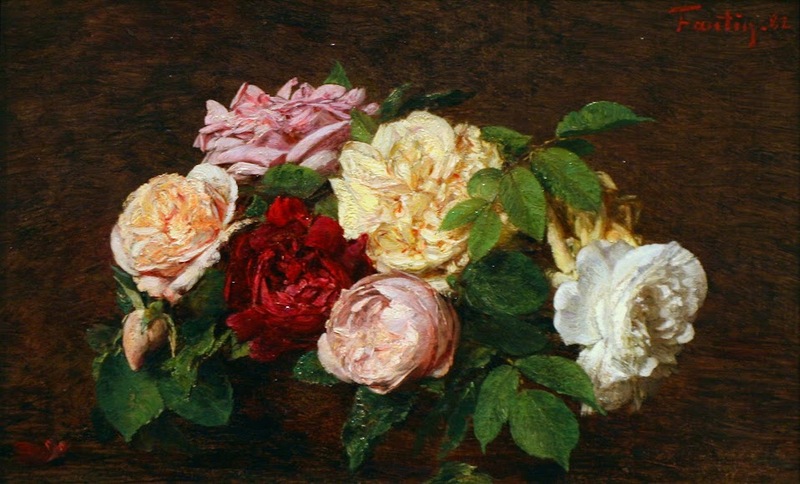 This may look like another case of life imitating art, but this variety of roses was actually created long before Fantin-Latour was born. It is still grown today, its name now honoring the association between a master painter and one of the most inspirational flowers in Western cultures.